Since finishing the Life Line album in 2009, my musical journey took a back seat again for some time. I did write a couple of songs but didn’t pursue them at the time. But in 2013 I started performing very occasionally at Vic’s Buskers Open Mic night in Guildford. I would play some of the songs from the Life Line album. It was through Vic Cracknell that I met up with the organisers of the Phoenix Cultural Centre in Woking in March 2015. 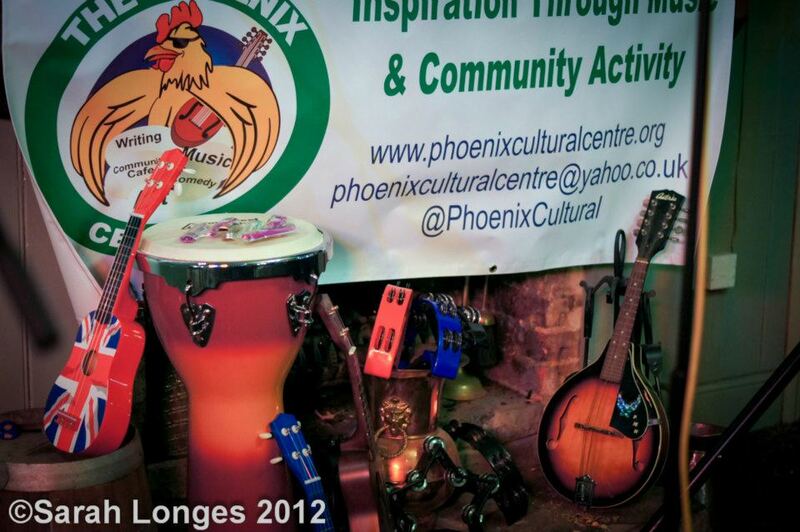 The Phoenix Cultural Centre at the time occupied a shop in Woking and put on open mic nights every Monday evening. The atmosphere at the Phoenix nights was very friendly and supportive, and before too long I was performing there on a regular basis – singing mainly my own songs but with the odd cover. 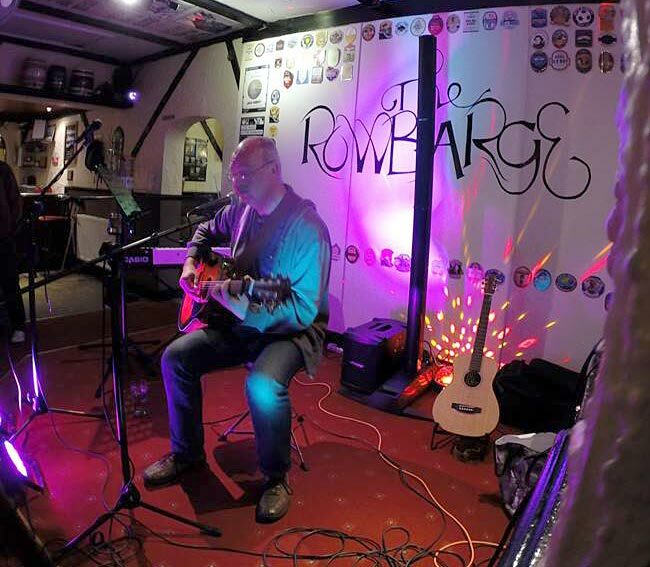 Spurred on by this, I started to bring more of my songs back from retirement – to have some variety when I played. I also started to perform more regularly at Vic’s Buskers in Guildford. 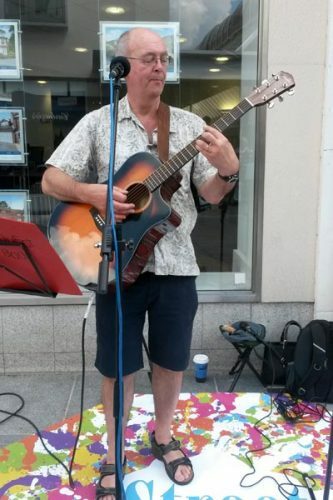 During the summer of 2015 I was able to go busking in Woking town centre a few times and at the Woking Party in The Park. This was a first for me as I’d never done busking before. Spurred on by all this playing, I found my songwriting skills came back again, and I have been working on many new songs, including one that was written in the autumn – High Time.